Anything can happen in Flashpoint, the fifth and final season, and Team One of the Strategic Response Unit (SRU) is prepared for just that. This high-risk, one-of-a-kind drama follows the exploits of an elite SWAT team that specializes in resolving extreme situations. Armed and dangerous criminals, bomb threats, abduction and gang wars are all in a day's work for these expert cops. Lead negotiator, Sgt. 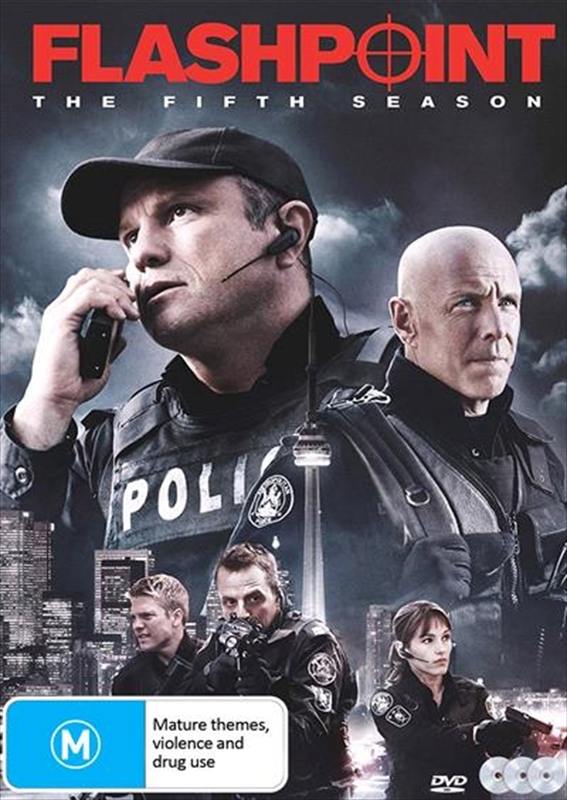 Greg Parker (Enrico Colantoni), and his trusted team, Ed (Hugh Dillon), Sam (David Paetkau), and Jules (Amy Jo Johnson) face their darkest hour this season. A serial killer is on the run with a victim in tow, a deadly smart gun is stolen, and Ed is forced to kill a teenage girl in the line of duty ..but it all comes down to the wire when a terrorist starts bombing the city's most populated buildings. In the epic conclusion to one of television's most thrilling dramas, the SRU gives it everything they've got to save a city plunged into chaos.